Heading to the beach this summer? Here are some of our favourite beach locations that will not only keep the family happy but give you the chance to get out and shoot some great photos. Story by Brent McKean. Australia is one of the best continents for untrammelled beach locations, and the best part is that while many are isolated (and thus rarely visited by tourist hordes), they’re often not too hard to access. Here are some of our top national park beaches for photographers. Located at the southern end of the Royal National Park, south of Sydney, Garie Beach is a great spot for photography, beachcombing and swimming. Make sure you bring your zoom and a tripod because at the right time of year you’ll see whales. The beach is accessible by road, with a few walking tracks that include Garie Beach, such as the Curra Moors walk, the walk from Wattamolla along the coast. The most well-known is the scenic two-day/27km coast track. Ben Boyd National Park has several beaches and excellent surfing spots in the northern and southern sections of the park. A great place to visit is Bittangabee Bay, a rocky enclosed cove which holds a picturesque little beach. Any photographer who visits the beach should try the 8.5km (one way) walk between Bittangabee Bay and Green Cape Lighthouse, which forms a section of the Light to Light walk between Boyd Tower in the north, and Green Cape Lighthouse to the south. Squeaky Beach is a wonderfully peaceful location, but it’s known for its sound more than anything else! Named due to the rounded quartz sand grains that ‘squeak’ when you walk on them, Squeaky Beach is also a good spot for photographing the park’s pristine coastline and the rock formations at the northern end of the beach. 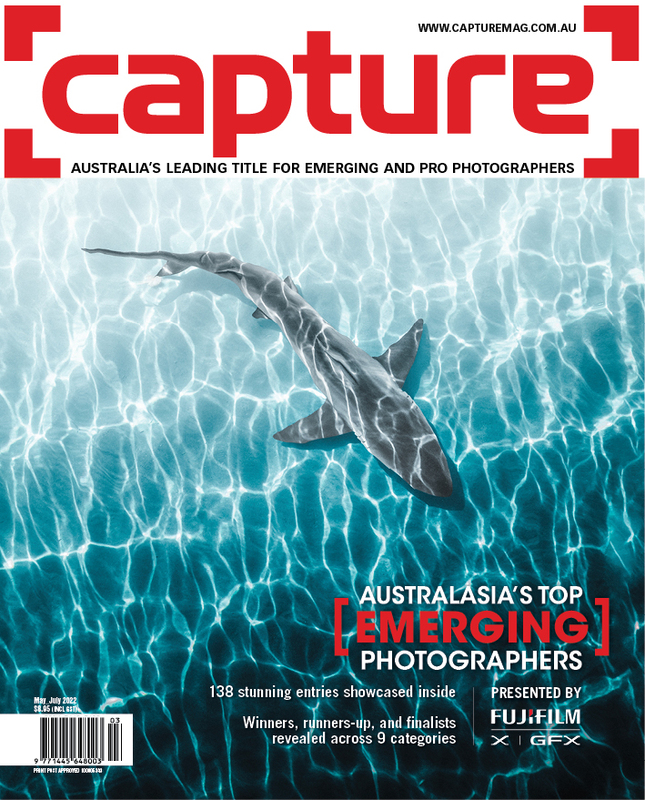 If you want a nautical feel to your photos aim your lens beyond the surf to the Bass Strait and look for passing boats. Wilsons Promontory is Victoria's most southerly point. 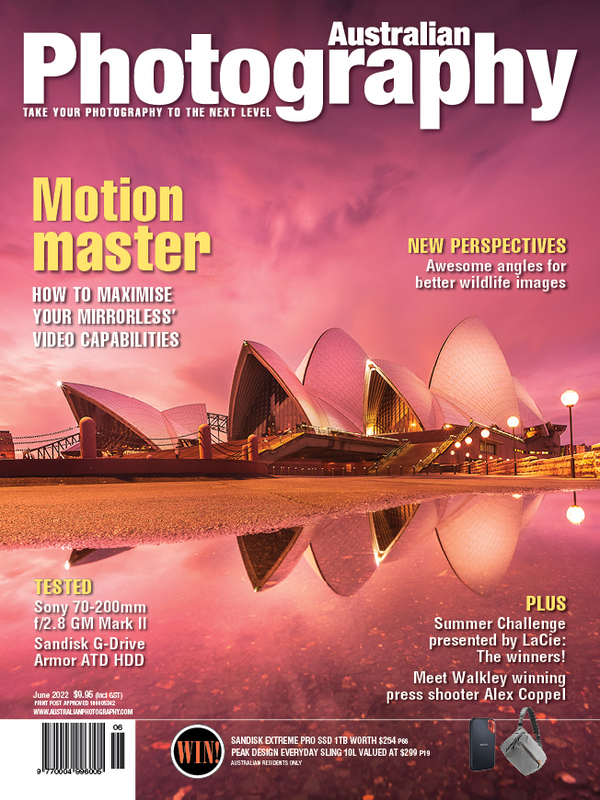 Its wild, untouched terrain and pristine beaches make it a favourite location for landscape photographers. This image, by Paul Hoelen, was shot during a sea kayak tour of the area. 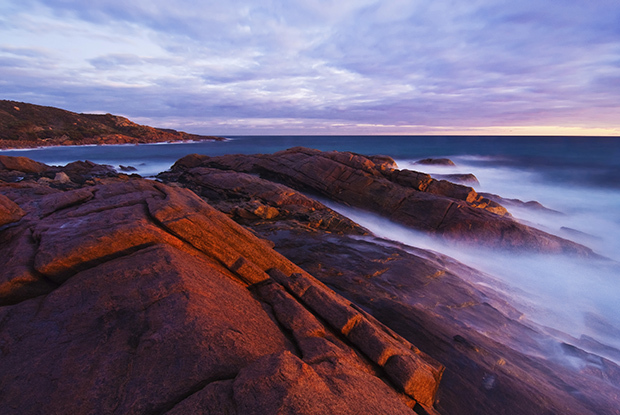 Located on Tasmania’s east coast, the beautiful Bay of Fires is a not-so-well-kept local secret. It was named one of the world’s hottest travel destinations by Lonely Planet Publishing in 2009. It’s easy to see why, with its iconic orange granite boulders, beautiful white sandy beaches, and amazing views out over the blue water. The light in the morning and at dusk really brings out the fluorescent colours of the lichen on the rocks. The Whitsunday Ngaro Sea Trail is an unusual walk, as it takes you between the islands that make up Whitsunday Island National Park, using both walking tracks on land, and seaways via kayaks. This means you’ll get to see not just one beach but several. There are the white sands of Lookout Beach and Whitehaven Beach on Whitsunday Island, Sandy Bay on South Molle Island, and Curlew Beach on Hooke Island. Bring a waterproof camera! The Whitsundays, Queensland. 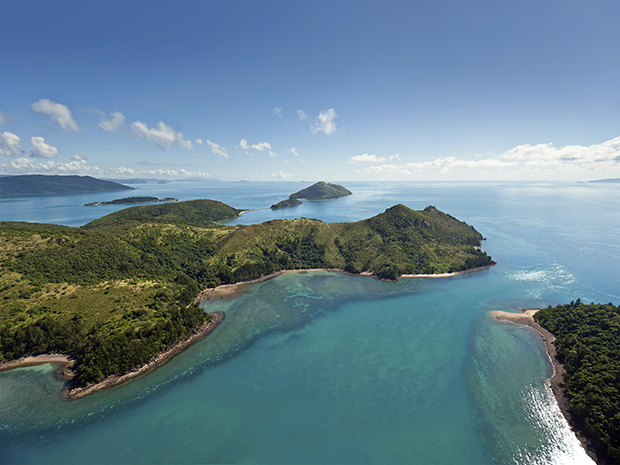 The Whitsunday Ngaro Sea Trail uses walking tracks on land, and seaways via kayaks. Located on the northern shores of Cape Naturaliste, the small enclosed Shelly Beach is a popular spot, as it faces northeast and is protected from the south-westerly winds. Cape Naturaliste and its lighthouse are also part of the northern end of the 135km Cape to Cape track. Rocky Point (adjacent to Leeuwin-Naturaliste National Park), is typical of the coastal environment in this region. Shelly Cove is nearby and is part of the 135km Cape to Cape walk along this coast. This rocky coastline mostly faces west (though Shelly Cove faces east and is more exposed to morning sunlight). The beaches of Kangaroo Island are located on the south coast. The south-western end (Point Tinline) forms part of the Cape Gantheaume Conservation Park, while its north-eastern end (Point Reynolds) is accessible by a private road that is open to the public. 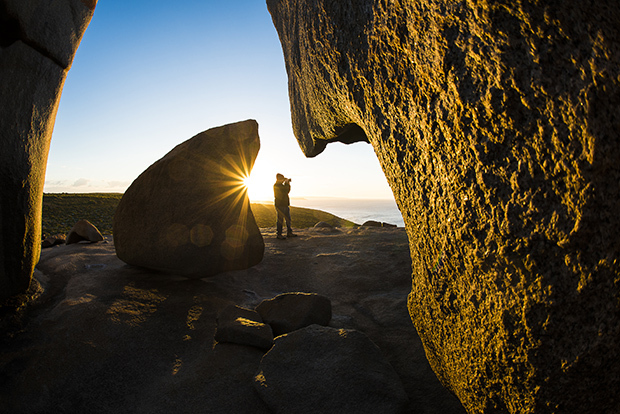 For photographers Kangaroo Island has gorgeous coastlines, lush landscapes and wildlife. Kangaroo Island, SA. This large island off Cape Jervis is spectacular. Its southern coast has wide beaches, sometimes hosting large numbers of seals. The Remarkable Rocks (seen here) are a dramatic visual feature. Photo by Darran Leal.